Go to the menu, then Settings. Use the toggle switch to set Accept Messages to ON or OFF. 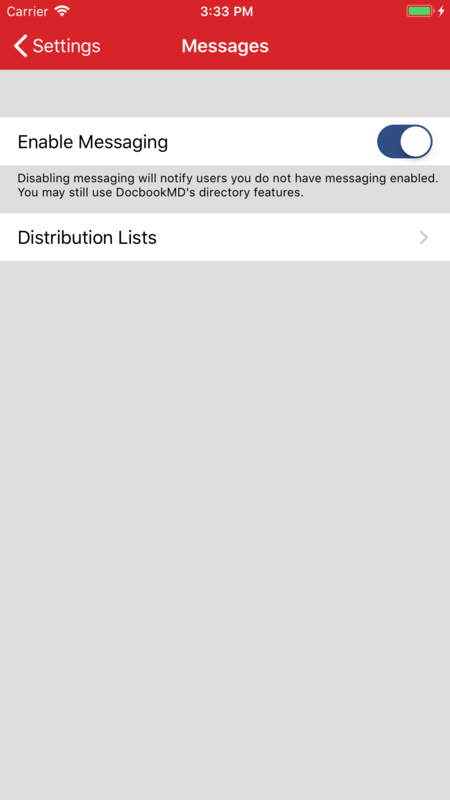 With messaging disabled, you will not be able to send or receive any DocbookMD messages and your profile will show no Talk Bubble on your Directory listing. This setting is most used during vacations, or weekends. You can also selectively manage your access to distribution lists messages. 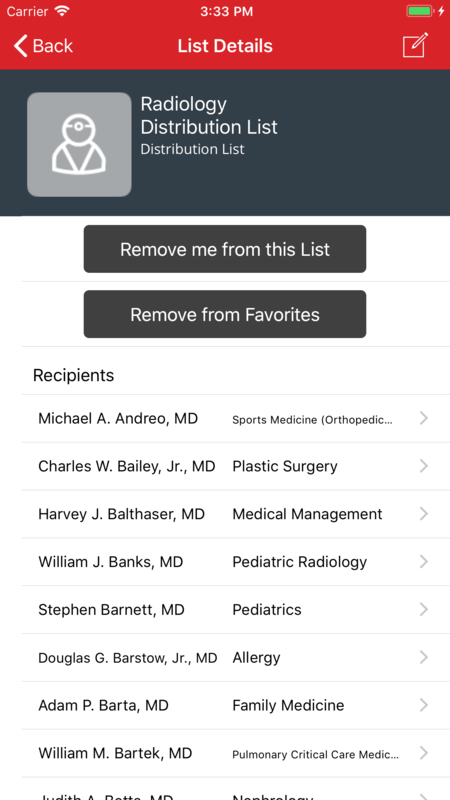 Tapping the Distribution Lists option will bring up the list of Distribution lists you currently are subscribed to. Toggle the slider to no longer receive messages sent to the specific Distribution List. You can also Tap on a Distribution list to see more details. Check or uncheck the box for Enable Messaging.